Just when you think the Loch Ness Monster has been thoroughly debunked, another scientific expedition sets out to study the matter. 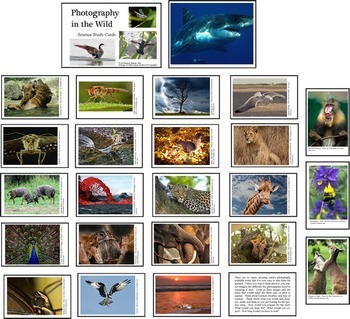 Recently there have been a flurry of articles lamenting the fact that no new sightings have occurred in the last year! I've never taught any theme that generates more student interest, excitement, and personal involvement than themes related to natural mysteries. This integrated, thematic unit causes passionate discussion among students, in the classroom, on the playground, and in the neighborhood! It's a GREAT unit for the first few days of school, to leave for a substitute (detailed plans included), or to use sometime during the year when everyone needs a break from the routine. 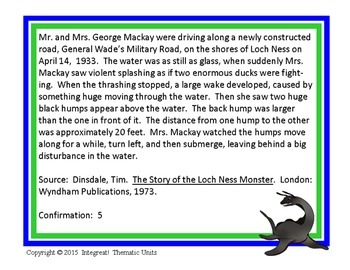 Students will research Nessie sightings on the internet (or from books and articles you provide, as well as the included research cards), and create a class data base of sightings from the last 1,450 years. They will analyze, sort, and group the data base to learn more about scientific investigations. 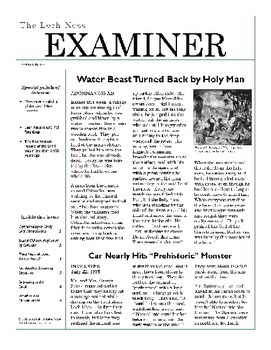 Then each student will write a newspaper account of the sighting they have researched. They will present their article to the class as a news broadcast, using the art project to illustrate their presentation. 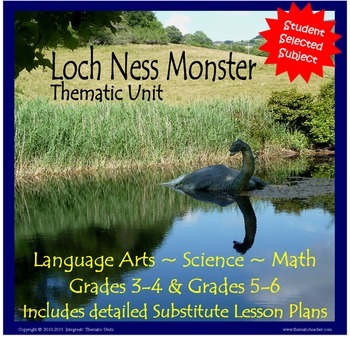 The Loch Ness Monster was one of ten subjects selected by students, as something they would like to study if they could have a choice. I have taught this unit (although not always with these materials) with children from first grade to eighth grade, and it has never failed to stir up a flurry of scientific argument that often continues long after the unit ends!